Hey there! Since I spent the entire weekend coughing, wheezing and sneezing in bed with bronchitis, I’m skipping my normal weekend wrap up post and bringing you the versatile blogger survey that Lisa tagged me in last week! My whole life I have snored obnoxiously loud. Adam has to wear ear plugs almost every night. One time I was sleeping over at a friend’s house and her mom came in to the room in the middle of the night to tell us to stop goofing off and fake sleeping … only to discover we were really sleeping and that snore was my real snore! It gets worse (or better) depending on how bad my allergies are. I take allergy medication but I am never 100% free of symptoms. I am moderately to highly allergic to every single thing they test you for in an allergy test (my most recent test was just 1.5 years ago). The struggle is real! 2. Have you ever met anyone famous? I don’t think I’ve ever met anyone SUPER famous. I’ve met a couple of NFL players, Penn & Teller, a couple of reality TV personalities… no one incredibly famous though. I’d like to meet Justin Timberlake, just sayin’. Jnco jeans! Do you remember those? UGH. Such a bad idea! I heard someone the other day say that Jnco is trying to make a comeback. I hope it’s not true! 4. What is one place on your travel must-see bucket list? There are so many good answers to this question, but I suppose at the top of the list is Seoul. I was born in Seoul, South Korea but moved to the states when I was just three months old (when I was adopted by American parents). I don’t have a burning desire to see Seoul right now; there are many places I would choose to visit before Seoul. However, it’s one place that I consider a must-see at some point in my life. 5. Who would you want to play you in a movie of your life? My dream person to play me would be Mindy Kaling since I love her so much and we do have the same skin tone. If I had to choose someone Korean though… I have no idea! Princess Jasmine. Hands down, she’s the best! When I’m on a long run listening to music I often imagine that I’m signing karaoke performing a concert for adoring fans! Who doesn’t want to be a rockstar, right? My answer today would have to be Shake It Off by Taylor because I am ready to shake this bronchitis off! 8. Who would you want to be stranded with on a deserted island? I would most definitely want to be with Adam. Obviously because he is the love of my life, but also because he is incredibly smart and crafty. I feel like I would have the best chance for survival if I was with him! ^ I wish amount wasn’t misspelled. That annoys me too! HEARING PEOPLE CHEW THEIR FOOD. For the love of everything PLEASE chew with your mouth closed! Oh yeah, and please DO NOT scrape your teeth against the fork. I promise you there is no need for it, the food isn’t going to try and run away if you leave a little room between the fork and your lips! 10. What clothing item/accessory/shoes do you have way too many of in your closet? Brooks Adrenalines! I bought a bunch of pairs of the 2014 edition at the beginning of this year when they were on sale :). I’m thinking about trying the Hoka One One Cliftons at some point this summer though. If you’ve ever tried Hokas I’d love to hear what you think! Have YOU ever met anyone famous? Any famous runners? What is one place on your travel bucket list? Next Post Getting Back Into That Running Groove! 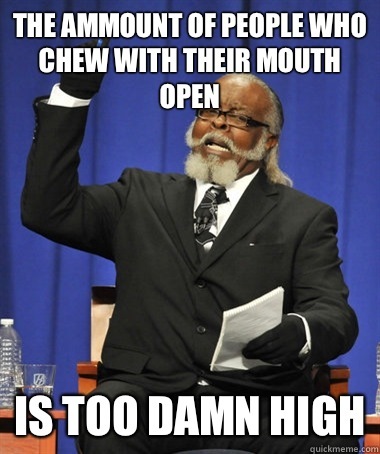 I also hate hearing people chew and I definitely can’t stand the fork hitting their teeth! I totally forgot about those jeans and hopefully they don’t make a comeback! Hope you’re feeling better! The sounds of a fork against teeth is just awful. I probably should have listed that as my top pet peeve…. even more so than people chewing with their mouths open! At least with chewing you can look away, but that scraping noise is like nails on a chalkboard for me! 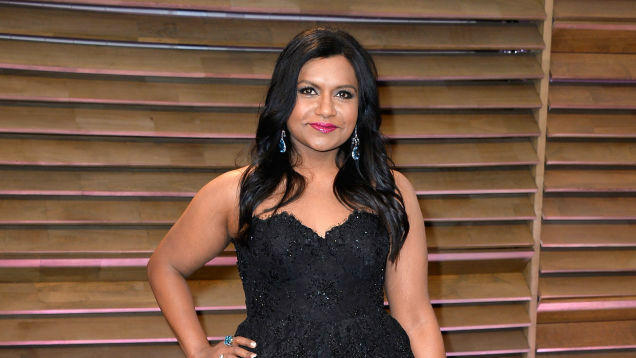 I think Mindy Kaling would be perfect to play you! The person who would play me- who is actually my doppelganger I think- is also from The Office. Paul snores. It severely affects my life, lol. 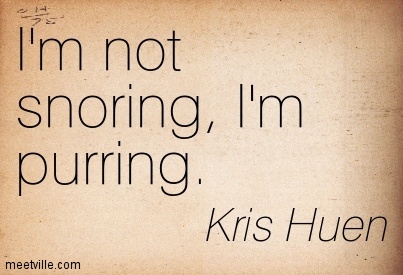 Haha I remember you blogging about Paul’s snoring before – sorry you have to deal with that! Adam feels your pain! I wish I could get into The Office. I’ve tried to watch it a couple of times but it’s just not my type of show. I’m annoyed that it’s not my type of show because I like MIndy and BJ Novak so much! I want it to be my type of show… I’m just not a Steve Carell kind of person. People who chew with their mouths open are the WORST. It literally makes me gag.. also mouth breathing. I really hate mouth breathing. Thanks for the tag!! I’m excited to do this! I have issues with allergies as well, it’s a pain, I am constantly scratching, sneezing, dripping, gosh, a day to feel 100% soul be awesome wouldn’t it?! Ohhh that’s cool! I can’t wait to hear the story of how you met them! It would be so awesome to live a day without allergies. My doctor says I can do this thing where I come into his office once a week to get a shot every week for 3 years and then I will be ‘cured’ of all my allergies, but seriously, who has time to go to the doctor’s office once a week for a shot? And it’s not just like an in-and-out thing he says I would have to wait for an hour at his office after the shot to make sure I don’t have an allergic reaction to it (since it would essentially be a cocktail of all the things I’m allergic to …. helping me build up a tolerance over time). I hope you kick that bug soon. Well wishes from AZ. Thank you! You and me both! I’m now annoyed that it’s 2015 and we don’t have an instant cure for coughing! I think JT is definitely going to read this blog post and then show up at your door step. Just sayin’. Jncos!!! HAHA. I remember those, and am sooooo glad they are out of style. I agree, please don’t ever come back! I will admit though…I once thought they were cool so convinced a male friend to let me wear a pair of his…. Hahaha yes I remember thinking they were interesting at the time. I never owned a pair – they weren’t ever really my thing – but I definitely thought they were interesting and looked cool on some people. In hindsight… just no… they didn’t look cool on anyone, haha! 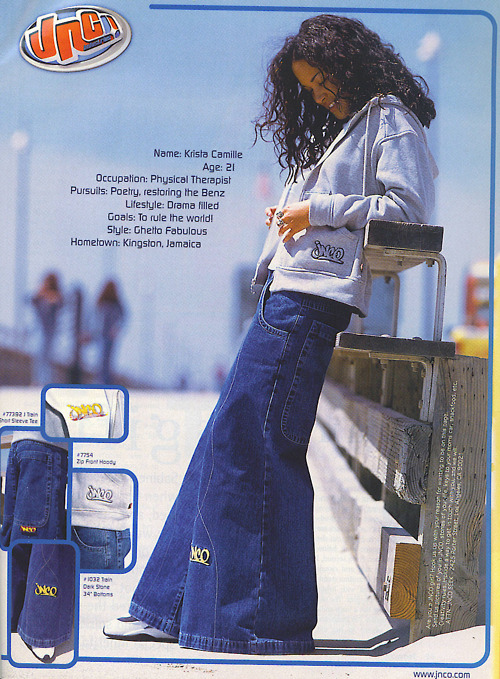 JNCO jeans, oh wow. I’m with you on hoping they don’t come back into style. I’m pretty into most of the 90’s throwback stuff, but those pants were just so awful. Same here – I love a 90s nostalgia – but JNCO jeans cannot make a comeback! I’m not sure who they were flatting on except maybe some very tall people. Maybe. Okay probably not even them! Hahha I know when I’m shopping I sometimes try to imagine which styles we’ll laugh at most in the future! I think I sort of know what style of scrubs you’re talking about. I was just at the doctor’s this weekend and one of the nurse’s had scrubs on that were quite wide legged! My husband is also a really loud snorer, but the Breathe Right strips help reduce it. I don’t have any allergies, but I always hear about people developing them later in life and am worried I’ll get them! When Adam and I first started dating I tried to sneakily apply the Breathe Right strips after the lights were out but they always fell off on the pillow. I used to have really combination skin with an extra oily t-zone. Those strips just didn’t stand a chance staying on! I’m glad that your hubby is able to get good use out of them for your sake! Please let us know if you try the Hokas. I wear the Saucony Guide and have for YEARS. Changing shoes pretty much scares me since I think I would get injured. I feel if someone looks at me the wrong way, I will get injured. Sigh..
Adam only snores sometimes – and pretty lightly. I always fall asleep first though which is unfortunate for him. He says if I just let him fall asleep first everything would be fine, but when my head hits the pillow I’m out in 6 seconds! Oops! Like you I am really nervous about trying a different shoe, especially once as different as the Hokas. The more I learn about them though the more interesting they sound. I don’t think the Cliftons would be one that I would run in every day, but it seems like I could find a way to work them into a rotation with my Adrenalines. I’ll let you know if I work up the courage to really give them a try! Ahhh I just got the chills thinking about when people scrape their teeth against their forks. It’s the worst noise ever!! My ex boyfriend used to do that and I yelled at him every time. I hope you feel better soon!! Hope you are starting to feel better, Kristina. I am with you on the jeans, Jasmine, and chewing with your mouth open. On the top of my travel list is Africa – I want to go back ASAP!!! I have met Joe Montana and Keanu Reeves. We have a lot of amazing runners that live in Bend, so I have met Lauren Fleshman, Max King, and Stephanie Howe (among others). They are always out and about on the trails and at the track! Oh I hate when I can hear people chew food…especially if I can hear is swishing in their mouths.. gross. Ahh JNCO jeans… I am SOOO glad my parents wouldn’t let me get them. I hope by the time you read this you are feeling much better!!!! Ahh!! I’m just catching up on my blogs– I’d love to do this survey, so fun. Also- JT is still my #1.